Life/form CRiSis Torso features the same quality, durability, and reliability as the Deluxe CRiSis Torso (LF03958U. 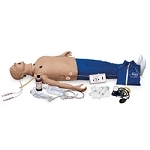 The only difference between the two systems is that the CRiSis Torso does not include the Interactive ECG Simulator; the Patient Simulator you already have is completely compatible. 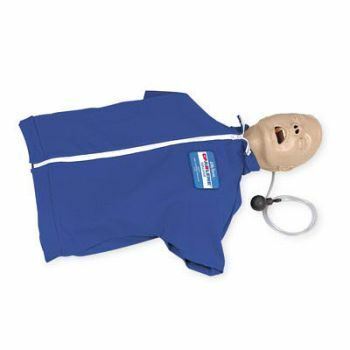 It does feature the “Airway Larry’ Airway Management Training Head with manual carotid pulse, Defibrillation Chest Skin, and CPARLENE Torso. Comes in a durable, foam-lined carton (hard carry case is available, LF03467U). Five-year warranty.